beyond their normal job responsibilities. 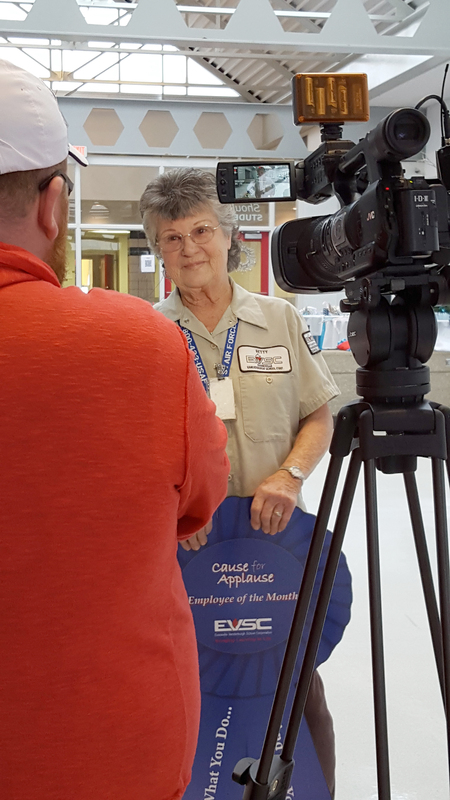 Hawkins goes above and beyond her duties as a custodian every day, says Darby Lindauer-Hurley, one of two people who nominated Hawkins for the award. Lindauer-Hurley writes that Hawkins takes a sincere interest in students and their safety. She makes sure they are safe while waiting for rides afterschool, that they have enough lunch money and many other small things that really add up. Last October, Hawkins celebrated 30 years with the EVSC.